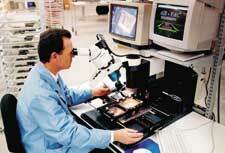 This procedure is followed at Circuit Technology Center for BGA component assembly or rework. The procedure includes receiving, process development, BGA assembly and BGA rework process steps. The purpose is to ensure repeatable, high quality assembly and rework of BGA components, and to assure conformity to the highest industry standards and specifications. Figure 1: Commercially available BGA Rework Station. 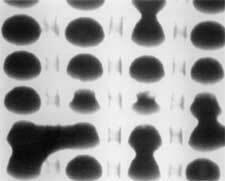 Figure 2: X-ray inspection verifies shorted spheres. This method may subject the component to extreme temperatures. Evaluate the component's tolerance to heat prior to using this method. Burns and solder mask chipping. Upon receipt, the customer supplied materials and products are logged into the Enterprise Resource Management System by the Shipper & Receiver. Customer supplied materials and product counts are verified. The project is reviewed by the appropriate Sales Application Engineer to confirm the project requirements, determine the solder chemistry classification, and verify if a solder stencil is in stock or needs to be ordered. Repeat projects will have a previously created process sheet in the Hot Gas Rework System database. A copy should be printed out and included with the job Traveler. New projects require a thermal profile for the circuit board. See the process step listed below and procedure 9.2.1. 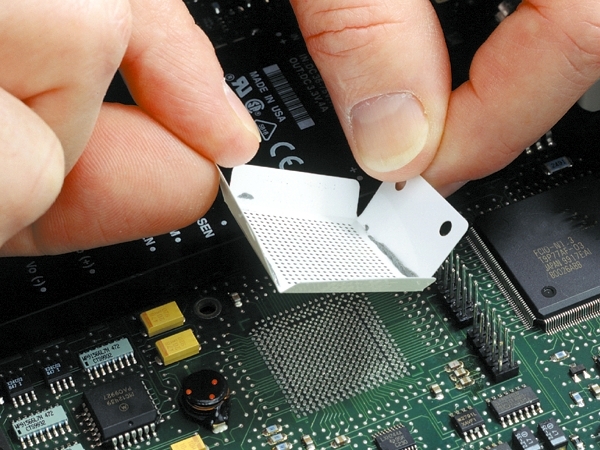 For profile development we request a scrap circuit board assembly and an extra component whenever possible. Upon completion of the Sales Order, it is sent via email to the customer contact for confirmation of the process outlined and the charges listed. The schedule is confirmed, and the customer products and materials are transferred to the BGA rework area. A. Verify circuit board and component part numbers and quantities match the Traveler. C. Ensure the Hot Air Rework Station maintenance is current and the appropriate checks are done prior to operating the BGA machines. All Circuit boards are baked for a minimum 12 hours at 125 C unless otherwise instructed by the customer. In addition, all BGA components that are received in unsealed packaging are baked per the Moisture Sensitive Device Control Procedure, unless otherwise instructed by the customer. A. Solder chemistry, leaded or lead-free. C. Board and component density and layout. D. Component ball count and design. E. Under-fill or conformal coating surrounding the site. The Thermal Profile is created by placing Thermocouples at various locations to monitor and adjust the heating source time and temperature from the bottom side heat plate and the top side nozzle. Multiple machine cycles may be required to achieve the desired results. Upon completion, the profile is stored in the machine and saved in the Hot Gas Rework System database for current and future applications. See procedure 9.2.1 for more detailed information. Additional notes are added to the Hot Gas Rework System process sheet to identify special handling or other process steps that are needed in order to achieve an acceptable condition. These include adjacent components that need removal, specific masking or shielding requirements, and other conditions that may impact the process. Operators initially review the Traveler and additional paperwork to ensure the instructions are clear and match the circuit boards to be processed. Any questions are directed to the Sales Application Engineer or to the customer for clarification. If circuit board disassembly is needed, all materials must labeled and noted on the Traveler. The Operator will locate and load the removal profile specified on or with the Traveler for the component removal. The removal process is visually monitored through a microscope. When the BGA component solder balls reach a molten state, the vacuum pick-up of the component is initiated. Site cleaning is done with a non-contact site cleaning tool, or by using solder wick. If under-fill or conformal coating is present at the site, additional steps are required to remove it. Typically heat, machining or chemical stripping of the site is needed. Refer to the Sales Application Engineer, customer instruction or the product data sheet for the appropriate process. No-clean solder paste/flux is utilized for BGA assembly and rework unless otherwise instructed by the customer. After the site cleaning process is complete, the circuit board is inspected to ensure the mask is undisturbed and the site is suitable for the installation process. If solder mask touch-up or other issues are identified, they are reviewed with the Sales Application Engineer for direction. Solder stencils are used to deposit the solder paste onto the site. Care is taken to ensure the paste is deposited evenly and completely. Upon completion of the placement process, the circuit board is visually inspected at the BGA placement site and all adjacent areas. Touch-up of the circuit board is completed if needed. X-ray inspection is completed at the BGA placement site and adjacent areas. See procedure 9.1.2 for additional information. Any potential workmanship or unacceptable conditions are reviewed with the Sales Application Engineer for direction. Re-assembly of any removed components or hardware is performed. Final inspection is completed by QC Inspection.